The main highway of Cotabato to Davao was blocked by a group of farmers last March 30 to ask some help from their local government. 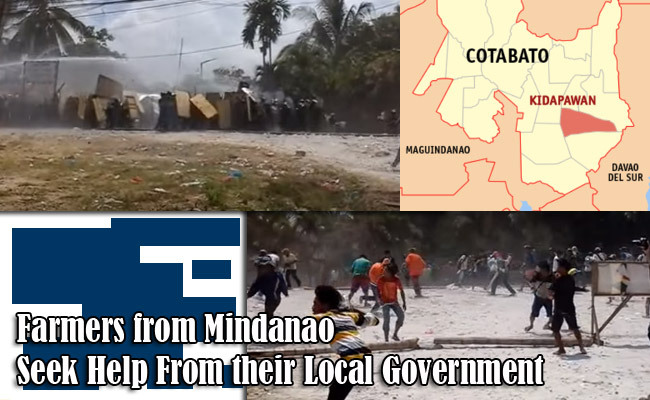 Pedro Arnado, a chair of KMP or Kilusang Magbubukid ng Pilipinas said that they barricaded the streets so that their demands will be notice by their provincial government. The farmers who protested were mostly from the provinces who is suffering from drought like Kidapawan, Antipas, Magpet, Arakan and President Roxas. Governor Emmylou Talino- Mendoza promised to farmers to give them 15,000 sacks of rice when North Cotabato was placed on state of calamity by provincial board. When Mendoza was interviewed, she denied that they are not doing anything to help the farmers. She added that they have funds to help them but they need to follow the proper process. She also revealed that with the help of Department of Agriculture, they are going to give the promised rice to the farmers on the next few days. She then suggested them to return to their respective barangays. Unfortunately, the protest of farmers became violent against police officers. It was reported that 3 people were killed and 116 got injured. The provincial office of Commission of Human Rights (CHR) was now investigating the pitiful incident. Chito Gascon, a chairman of CHR said that they will get facts on who initiate the violence meanwhile Mel Sarmiento , a Secretary of Interior , awarded the injured policemen against the farmers. Philippine National Police then revealed that 40 of their officers were wounded and insists that it’s the farmers who started the violence while SAGIPP or Solidarity Action Group for Indigenous People and Peasants also revealed that 89 of the protesters were missing with 6 minors. On the other hand, Senator Ralph Recto suggested that Department of Social Welfare and Development (DSWD) and Department of Agriculture (DA ) should lead to Malacanang to address this issue.